Designed for smaller sprts cars and roadsters, the Michelin Pilot Exalto 2 is a great choice for those looking to replace thier original equipment on their BMW Z3 or Mazda MX5. Drivers will enjoy incredible precision and truley excellent grip accoring to Michelin with cornering a dream using the Pilot Exalto 2. 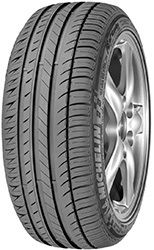 This special edition of the very popular roadster tyre has been recommended by BMW as replacement and original equipment on some of it's models. The tyre sidewall will bare the markings to show this, give you the assurance that this tyre is backed by one of the largest luxury car makers in the world.